Dozmary Pool | Launceston Then! with help from research completed by Rosemary Stewart. 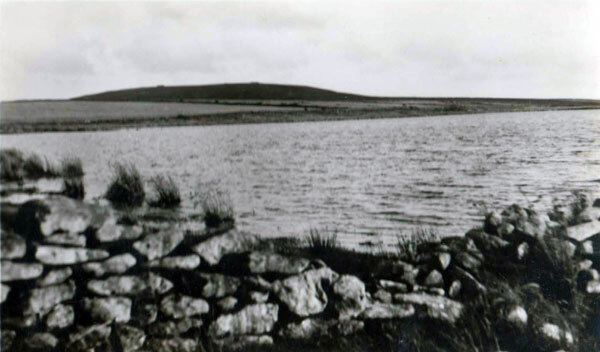 Dozmary (or Dozmare) Pool is a small lake at an elevation of approximately 300m, in the civil parish of Altarnun on Bodmin Moor. 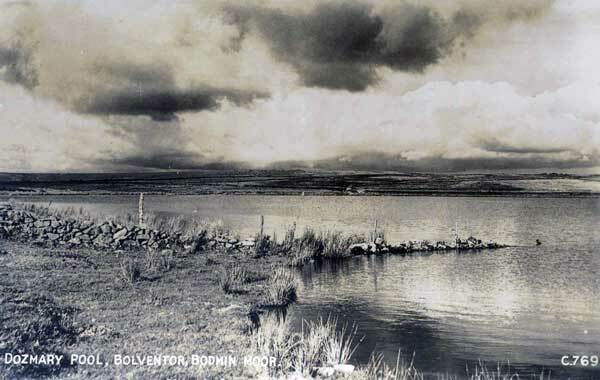 It is situated 10½ miles from the sea and lies about 9 miles north-east of Bodmin and just over 1 mile south of Bolventor. It originated in the post-glacial period. The outflow from the pool is into Colliford Lake and is therefore one of the sources of the River Fowey. In the past the name has been spelt as Dozmaré and as Dosmery Pool. 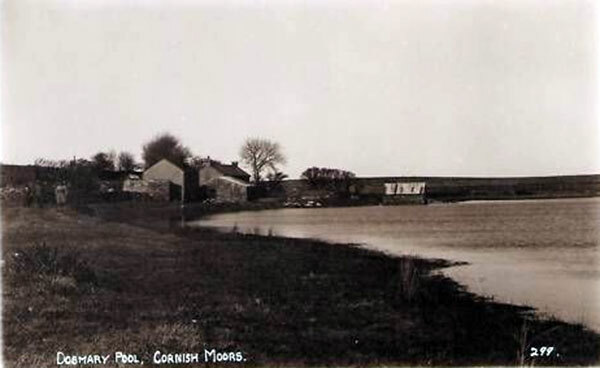 The pool and surrounding area was designated a Site of Special Scientific Interest in 1951 for its biological interest and is within the Cornwall Area of Outstanding Natural Beauty, (originally the Bodmin Moor AONB). At the end of the 19th century it was described by Sabine Baring-Gould as abounding in fish and surrounded by numerous remains of the working of flint in the Stone Age. The collections of Plymouth Museum and the Royal Cornwall Museum in Truro, between them house around 2,500 pieces of worked flint from around Dozmary Pool. These pieces of worked flint were made by Mesolithic people. They were produced by a sophisticated technique which was designed to make a large number of useable pieces from a single flint core. It is thought that many were hafted to form the tips and barbs of composite arrows. These tiny artefacts are seldom found which makes the collection from Dozmary Pool very important. The people that made these pieces moved into Britain about 10,000 years ago after the end of the last Ice Age. Their culture and lifestyle was one of gathering food from the wild. They moved around depending on the time of the year taking advantage of the changing seasons. Their lifestyle continued until the arrival of farming. There is evidence of Mesolithic camps scattered around the Devon and Cornwall coast, with these areas being harvested not only for the marine resources but also for abundant flint. As well as the Mesolithic finds around the Pool, there has also been found cores, scrapers, knives, arrowheads and axes dating from the Neolithic and Bronze Ages. The presence of axes show that these people were attempting to change the environment by clearing woodland. The abundance of arrowheads illustrates the high level of hunting that took place around Dozmary Pool for almost 7,000 years. 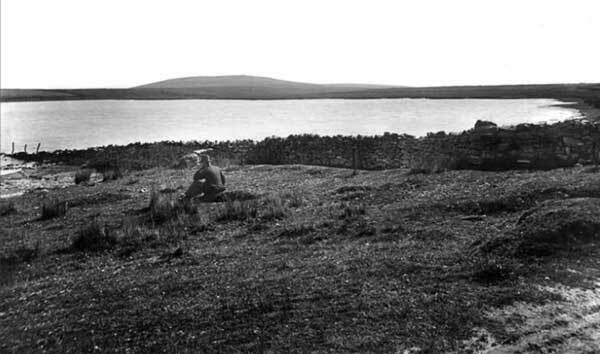 It was in 1866 when Francis Brent collected lithic items from the area and Dozmary Pool soon attracted Victorian collectors and a cottage industry of ‘Flint Jacks’ sprung up around the area, with many manufacturing their own ‘fake’ artefacts. Ironically, in the Plymouth Museum, there is a collection of these fakes. 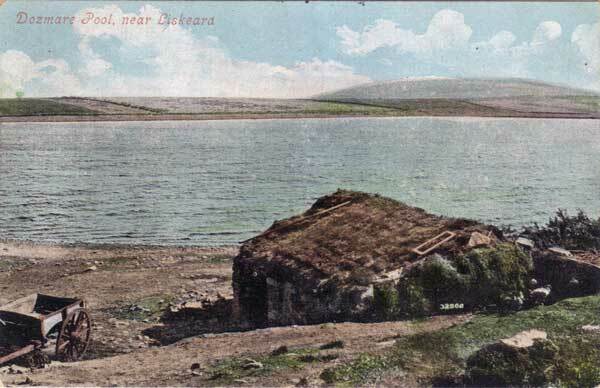 It is one site that is claimed to be the home of the Lady of the Lake. According to the legend, it is here that King Arthur rowed out to the Lady of the Lake and received the sword Excalibur. The pool is also the place where Bedivere returned Excalibur as Arthur lay dying after the Battle of Camlann. 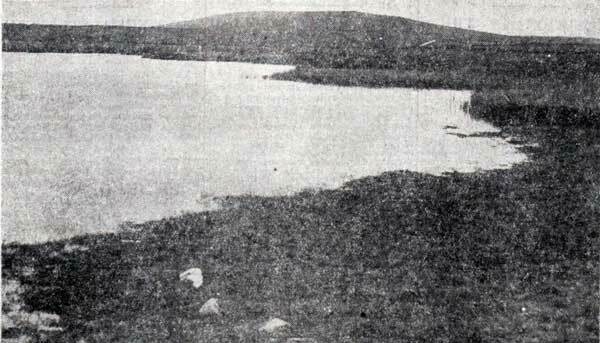 Another tale associated with Dozmary Pool is that of Jan Tregeagle. In search of deviant exploits, Tregeagle makes a Faustian bargain with the Devil and is given money and power. At the conclusion of his life, he is damned to the bottomless Dozmary Pool, where he is tormented to this day; it is said that Tregeagle’s ghost can still be heard howling across the moor. He was set the task of dipping the water out of Dozmary Pool with a leaking limpet shell. The fact that Dozmary Pool is not bottomless bourne by the droughts of 1859 and 1976 when it ran almost dry, do little to quell the legend of Tregeagle. 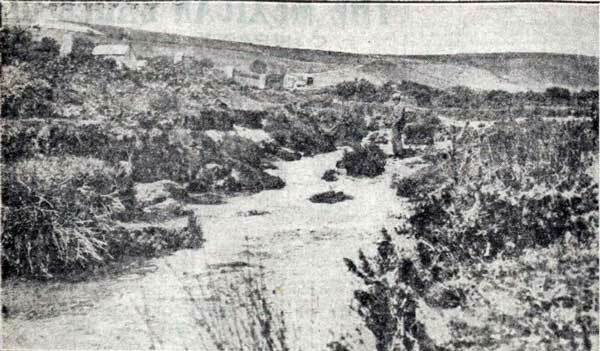 Dozmare Pool as this photo names it in 1910. Dozmary Pool and Brown Gelly in the distance. 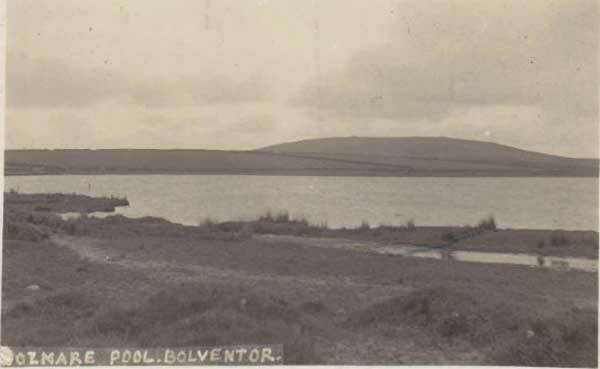 Dozmary Pool in the 1930’s. 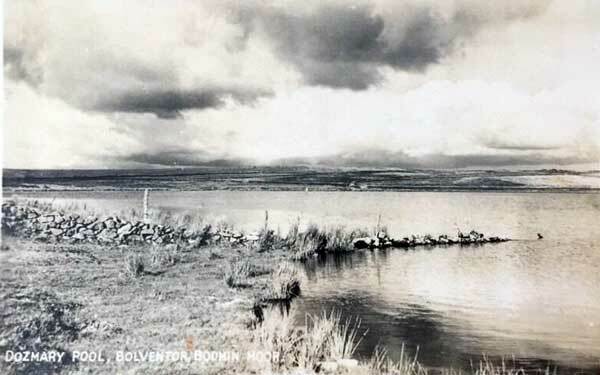 Dozmary Pool in the 1940’s. 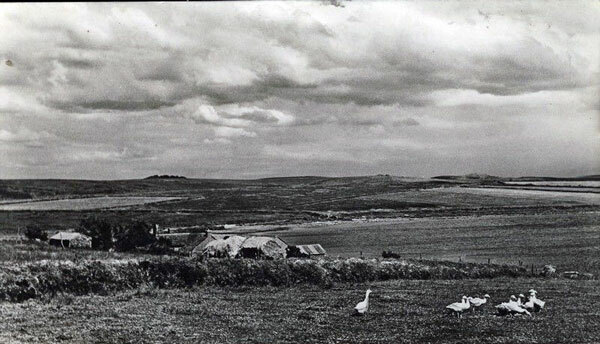 Dozmary Pool in the 1950’s. 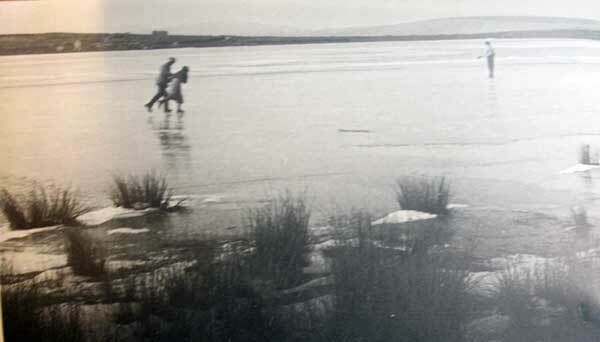 Above Skating on a Frozen Dozmary Pool in 1963.